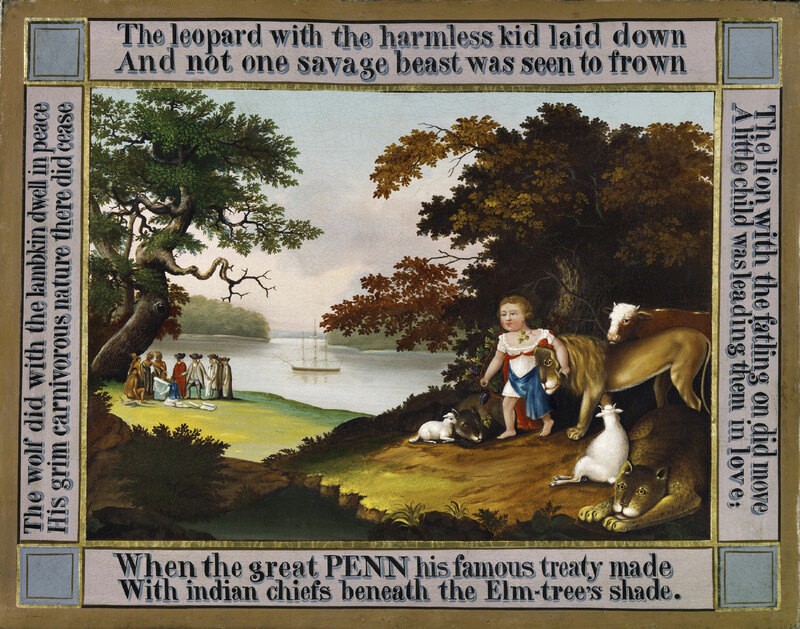 Edward Hicks supported himself as a sign painter and itinerant preacher, but usually made his easel pictures, including some sixty versions of The Peaceable Kingdom, as gifts for friends and family. This early example includes an orthodox Christian symbol of a child holding a grapevine, representing atonement. Hicks developed his imagery from Bibles used in the United States at the time and from the book of Isaiah, using the peacefulness of animals as a metaphor for the Quaker doctrine of human submission to the Christ Spirit.